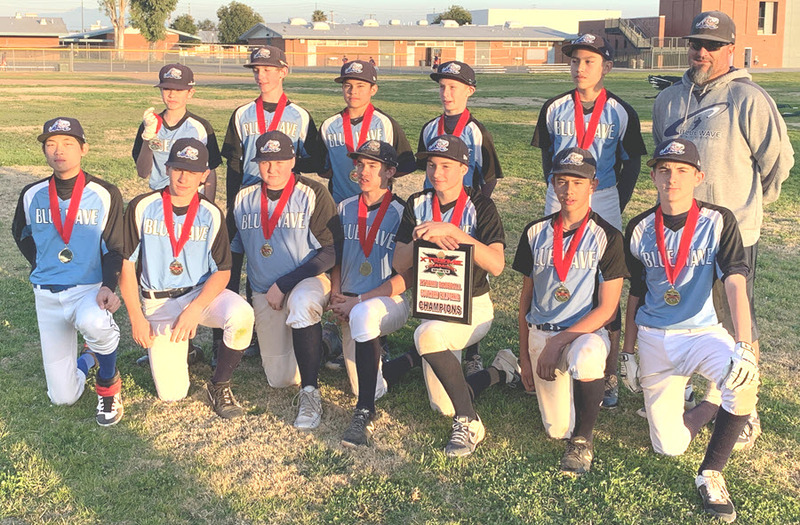 After losing their first game of the Xtreme Diamond Sports Long Ball Classic II tournament this weekend (FEB 23-24) to the SoCal Bombers 5-7, Blue Wave 13U came back to mercy the Bombers 8-0 in a rematch in the championship game to take the title. Blue Wave 13U also defeated Long Beach 6th Tool 13-2 and the San Juan Missions 10-0 on the way to the championship. Coach Aron Garcia’s team includes Rylan Littlejohn, Derek Higareda, Andres Vaca, Austen Barnett, Ben Reiland, Jeremiah Robles, Gio Sambito, Luke Wilson, Nicholas Keith, Brady Lemnitzer, Scott Yang, and Mason York.